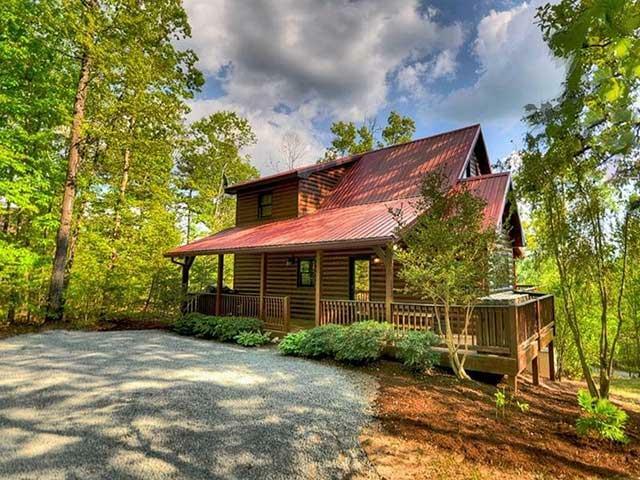 If you dream of a perfect ‘cottagey’ home nestled privately among the hardwoods, peeking out over spectacular North Georgia mountain views, then this is the cabin for you. 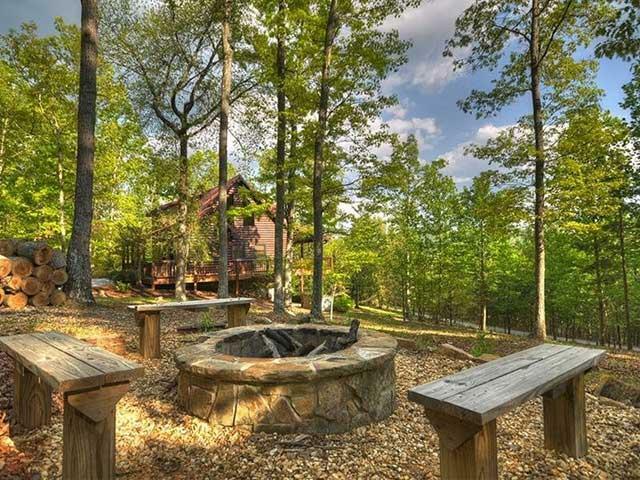 Once you arrive, this cabin, which sits on 2-1/2 acres, will actually rise “Above Expectations” to fulfill your most charming mountain getaway experience. Even the drive to Above Expectations’ peaceful and secluded setting is idyllic, winding along and meandering by scenic pastures and old farm houses with weathered log fences. 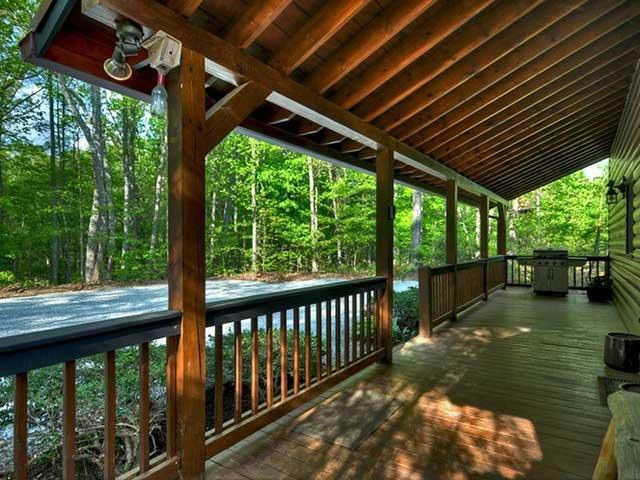 Relax and reconnect with some of your closest friends or your family in this three-bedroom home featuring a red tin roof and welcoming front porch. 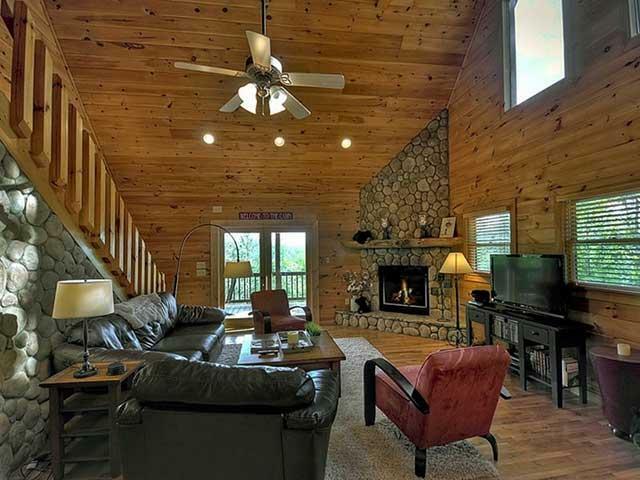 The photography enthusiast will appreciate this cabin as it is also intimately connected to nature and offers three wonderful private decks to soak in the views. Romantic moments or family reminiscing are just a few sways away as several rocking chairs grace the outdoor areas. Inside, this sweet home is unexpectedly high-end with friendly decor and a plush leather sectional in front of a cozy rock fireplace. Just steps away is a dining table for eight and an open kitchen for everyone to enjoy while preparing meals. Above Expectations is stocked with plenty of dishes and cookware and even offers a convenient kitchen breakfast bar. 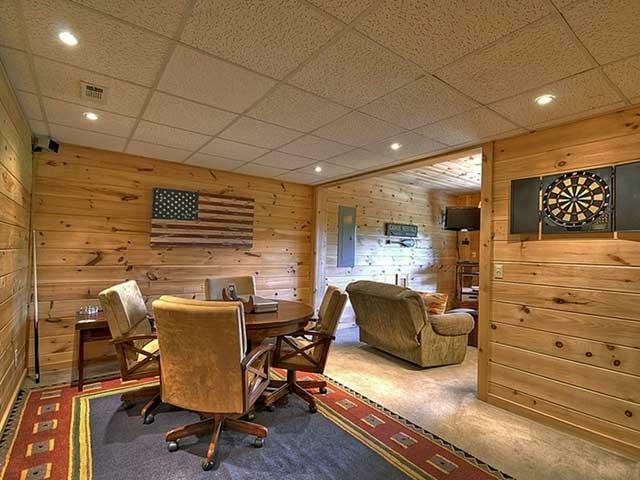 Movies, games and Wii fun abound in the terrace level and this is the only cabin in our collection that offers a bumper pool table. Try your hand and poker face at the combination card and poker table on a soothing rainy day. The accommodations include choice of three bedrooms featuring either a king size bed in the upstairs master bedroom with a private bath and balcony to enjoy, a main floor bedroom offering a queen size bed and adjoining bathroom or the terrace level bedroom offering two twins. 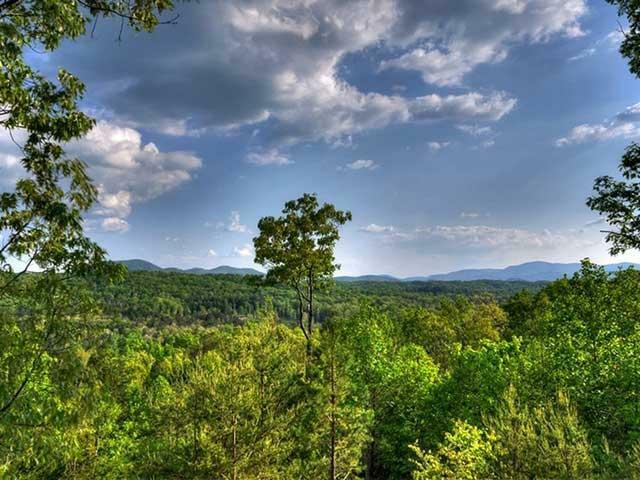 The best of the Blue Ridge area is just outside the door so you can start enjoying this cabin’s gorgeous property leading to a day of wonderful mountain exploration. 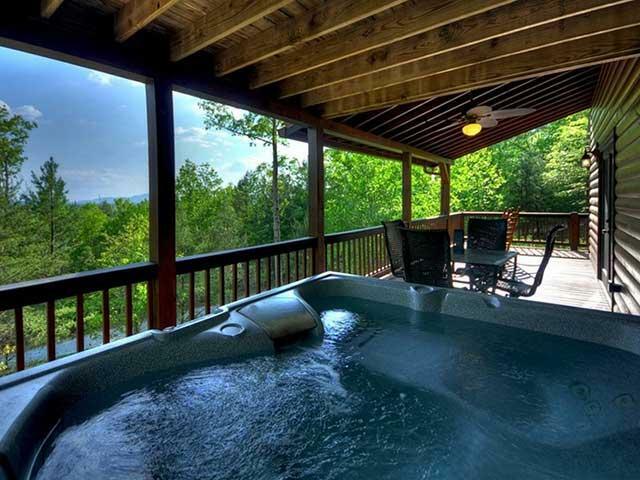 Begin your evening with a soak in the hot tub or gather around the fire pit for a good old fashioned marshmallow roast. End your day with stargazing and a toast to the realization of a mountain cabin experience that has risen above your expectations. 10/18 - Lovely view. Easy to work with. 09/18 - Great location, spacious, great views. Great job. 07/18 - We loved the cabin and everything it had to offer. The view was gorgeous and it was very comfortable. The layout was perfect for our family. We are planning on renting another cabin for Christmas. 07/18 - Beautiful views, easy to get to. Close to town and fun things to do. The cabin felt like home. Loved the gate on the front entrance keeping our fur child safe. Downstairs was awesome for our grandson with lots of family games to spend time together. Very accommodating. Great communication. 4/18 - The cabin was absolutely beautiful. Everything in the cabin was perfect. Games, movies, hot tub. The company is exceptional. 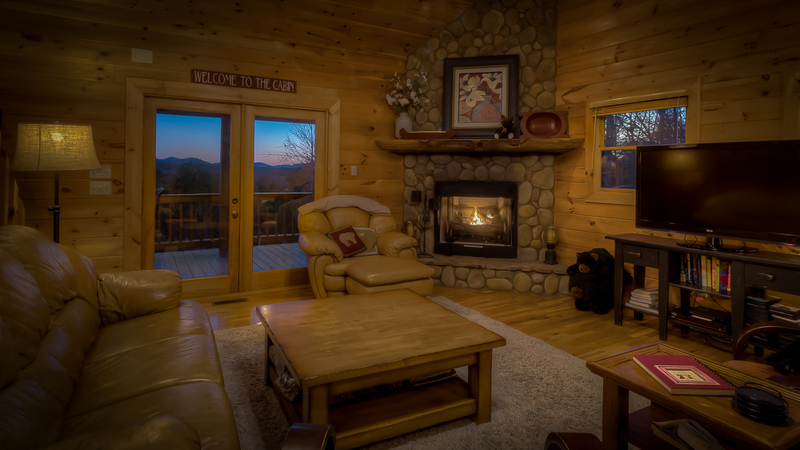 3/18 - The cabin is cozy and comfortable. We immediately felt right at home. We enjoyed it so much, we couldn’t wait to finish sightseeing and return to the cabin. We truly appreciate the fact that you welcomed our dogs. They are an important part of our family. Watching them play in the woods without leashes brought us much joy! They were in heaven and so were we! Very sad to leave this place that is truly “Above Expectations!” Outstanding customer service! Everyone was very kind and thoughtful. 09/17- Everything was perfect. Very impressed with the company and will use them again. The entire staff is knowledgeable and responsive. 08/17- It was truly above expectations. GREAT! 07/17- Our favorite features of the home were the views, the quiet location and the excellent kitchen set up. 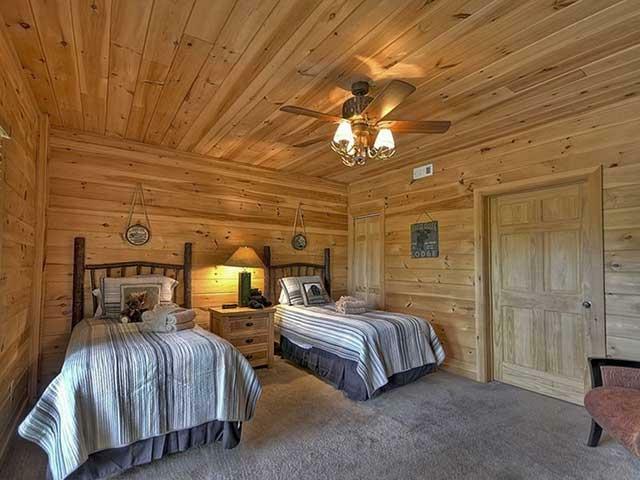 Very nice cabin and comfortable for our family of 6. Very pleased with the company. 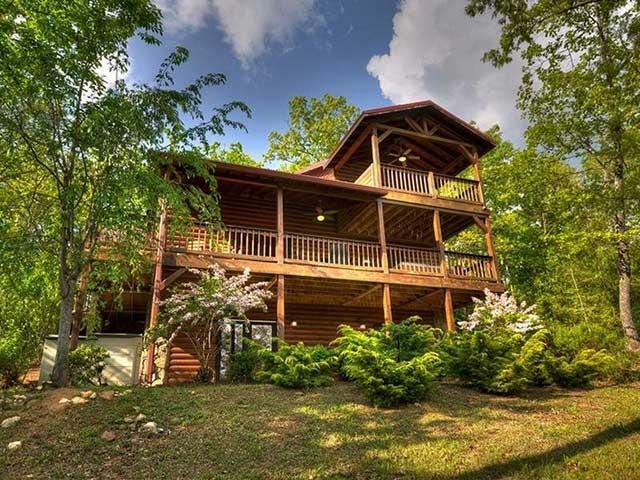 06/17- We enjoyed the view, the wonderful balconies, the game room, the privacy of the property, the comfy beds and spacious bathrooms and bedrooms, the beautiful wood and craftsmanship, and the added gate for the front deck so our dogs couldn't escape. Very friendly and helpful staff! Zero complaints! Great job! 06/17- We loved everything, from the view to the accessibility of activities for the children. 06/17- The location was good. 04/17- We loved EVERYTHING!!!!!! We enjoyed it and we're coming back!!! We were very impressed with the cleanliness, privacy, Jacuzzi , clean environment, sparkling glass cups and amazing decorations! The fireplace was super nice and the view was breathtaking and OUTSTANDING! We miss you, ABOVE EXPECTATIONS!!! 03/17- The view was breath taking, the cabin was clean and was everything we expected. We had a great time and will come back. Everyone was very nice and helpful. Great customer service. 02/17- Our favorite feature of the cabin was the view! We also loved the fireplace, the fresh mountain smell and the fact that there were enough bathrooms (five ladies)! We can't wait to come back. I have enjoyed this experience from beginning to end. Beginning with choosing the cabin online, making the reservation with your staff, emails detailing everything we needed to know, to our arrival where we felt welcomed with lights on and music playing. Rachel and Kiwi have done a great job with the cleaning of the cabin, and making us feel like we're coming home. 01/17- The view and location of this home were perfect. I was very pleased with the ease of the reservation, the information provided to me ahead of my arrival and the helpful information provided in the cabin. 12/16- The levels were each private, the views spectacular, the kitchen was beautiful and the cabin was decorated very tastefully. Everyone was very helpful and courteous. 11/16- The space was great and the views and property were very nice. Very professional and courteous and helpful staff. Thank you. 11/16- We loved the view, the cleanliness, the cabin decor and the quiet location. Very pleased. 09/16- The cabin is larger than expected. It doesn't feel like there are other cabins right beside you. The upstairs bedroom is great with an awesome view. The main level also has a wonderful view. I didn't think to check when I booked, but it was nice to have a dishwasher and washer/dryer. Certain items that I always forget were provided such as garbage bags and dish soap This cabin was perfect for our relaxing weekend! I couldn't ask for a better experience. I never had a problem contacting someone if I had questions or concerns. They were very attentive, helpful, and professional. Needless to say, I will be booking with this company again. 08/16- I thoroughly enjoyed the home and every aspect of it. 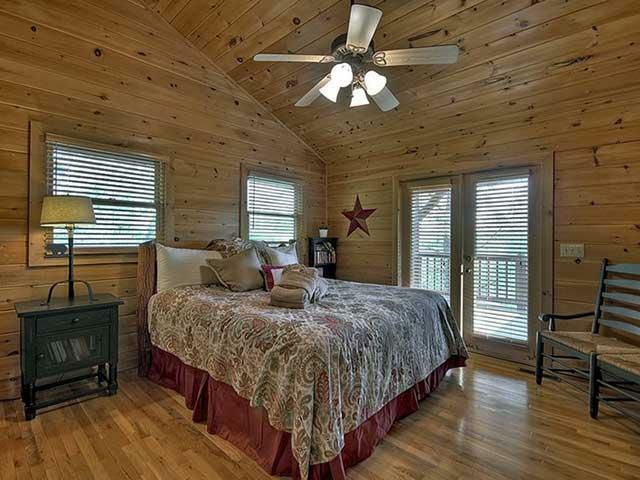 The spacious rooms, master bedroom deck, kitchen and hot tub were the highlights of our stay. The staff was very professional and courteous. The Escape will definitely be utilized by me and my family and friends again. The experience was amazing. 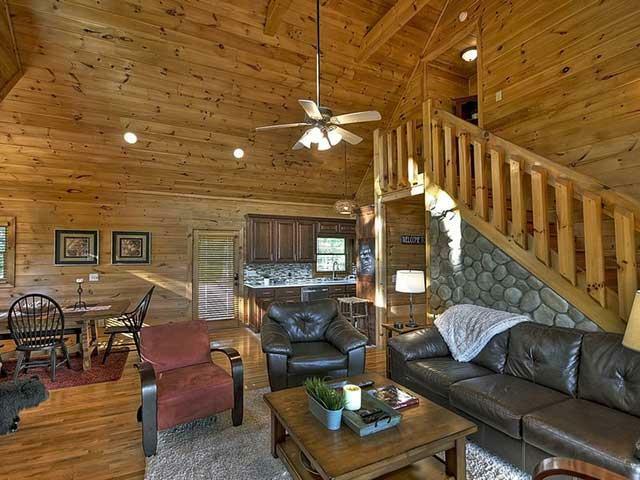 07/16- The cabin was beautifully and comfortably furnished. The home was spotless. 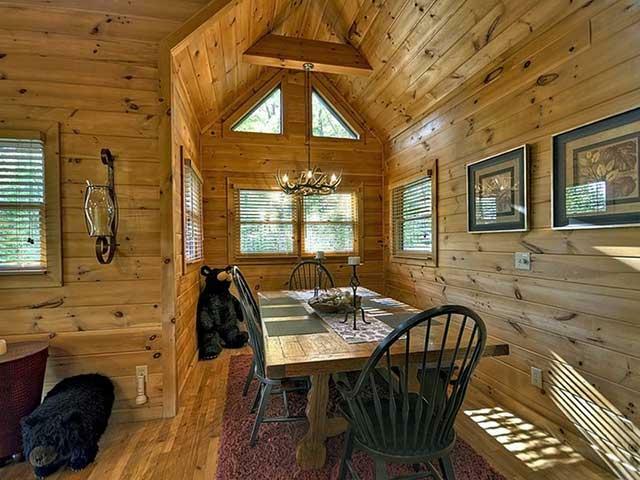 Every inch was clean and shiny, even the great stuffed bears all over the cabin. 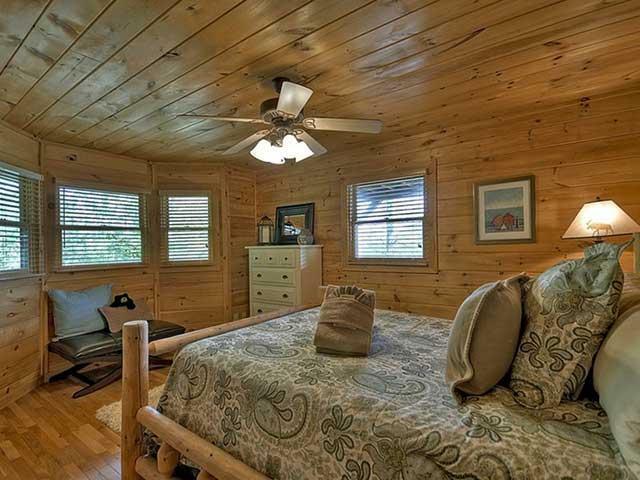 07/16- Comfortable, upscale, Spacious interior and secluded enough to have the privacy we like. Loved the hot tub after kayaking & tubing and fire pit was added bonus for the entire family (marshmallow roast). Very professional, great customer service (list of events you emailed was great)- we would definitely rent from you again. 06/16- Loved the location and view! I will only book through yall. We've had a great experience every time we've rented from you. 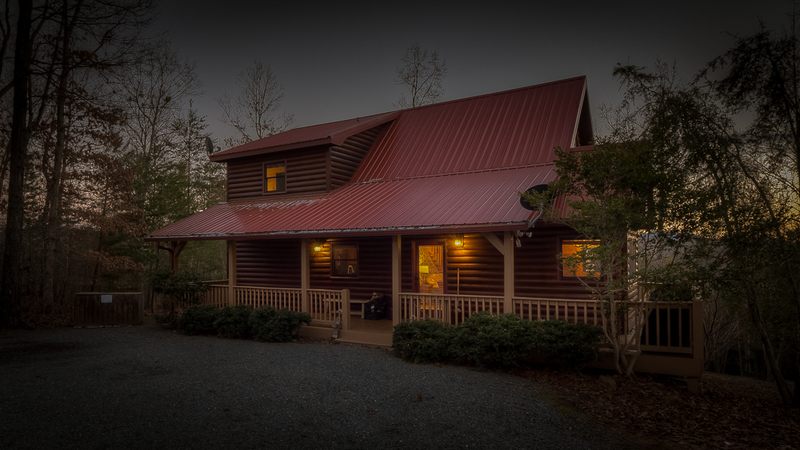 05/16- My family loved the cabin, its seclusion and size, the simple beauty of it. We thoroughly enjoyed our stay. 01/16- Very peaceful. Perfect location! The company was very professional. Safe. Very satisfied with everything. 01/16- Cabin, out of the way. Very quiet and peaceful for a family getaway. This is my second rental with the company and I have had nothing but a wonderful experience. Will rent again in the future. 12/15- The home was gorgeous. The views were breathtaking. The home was beautifully decorated and very well kept and equipped. I wish we had more time to enjoy it. Absolutely loved it! Everything was handled very professionally. Communication was excellent. We had a small issue at the home with the plumbing and we received immediate attention to get it resolved. 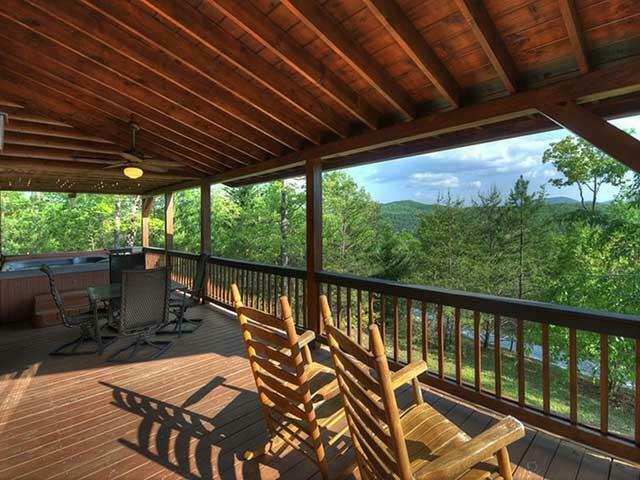 I would definitely book through Escape to Blue ridge again. 10/15- The 3 of us who stayed there for 3 days loved everything about the cabin. The jacuzzi was nice for those of us who rarely use one. The wood in the cabin and the decorations were very nice. The beds were comfortable and the kitchen was well stocked of necessities. We were very pleased with the people who took our reservations and payments and sent us directions and instructions. No complaints whatsoever. 09/15- Simply breathtaking. Inside and out. 09/15- Love the hot tub an being able to lay in bed an see the mountains. Cant wait to go again! 08/15- Clean, well stocked, comfortable, beautifully decorated. We've used this company several times. Always professional and courteous. 07/15- We loved it's convenient location to rafting, restaurants, and grocery stores as well as its spacious lot to play games and hand hammocks! Would definitely rent Above Expectations in the very near future!! Very efficient and polite! Also, they were very willing to find us the perfect accommodations for our timeframe and price point! 11/14- The cabin was beautiful. 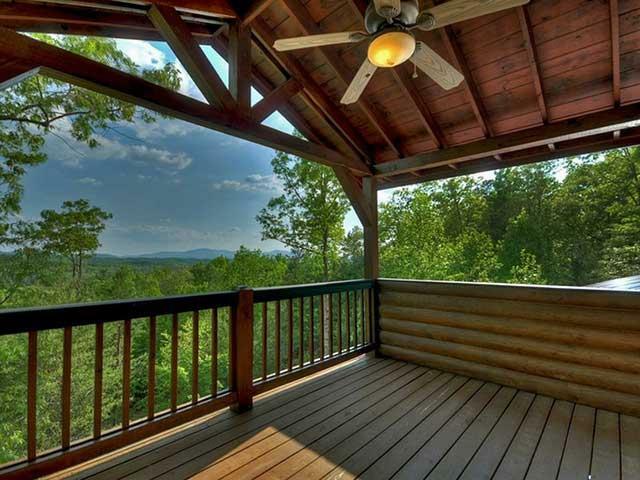 All the wood & the open feeling with a beautiful view. Wood everywhere! The floor plan was perfect for our family. My grandchildren felt as if they had their own world on the 1st level.Everything they needed! 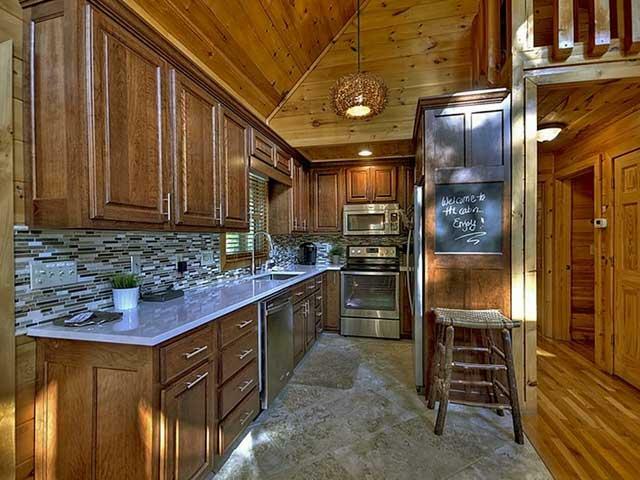 A beautiful, well maintained cabin. Very clean and had everything that we needed to make our vacation enjoyable. 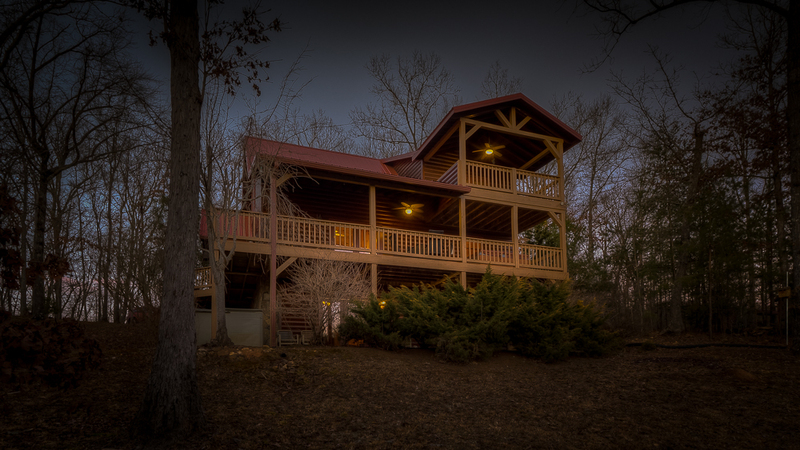 I would highly recommend this cabin to family and friends. It was truly "Above MY Expectations" Perfect! 10/14- Loved the game room,comfy furnishings, spectacular views! 08/14- We loved the hot tub! The view was amazing! We loved the campfire and all the deck spaces. We also loved the fact that a binder was provided of fun things to do in the surrounding areas! It was amazing! 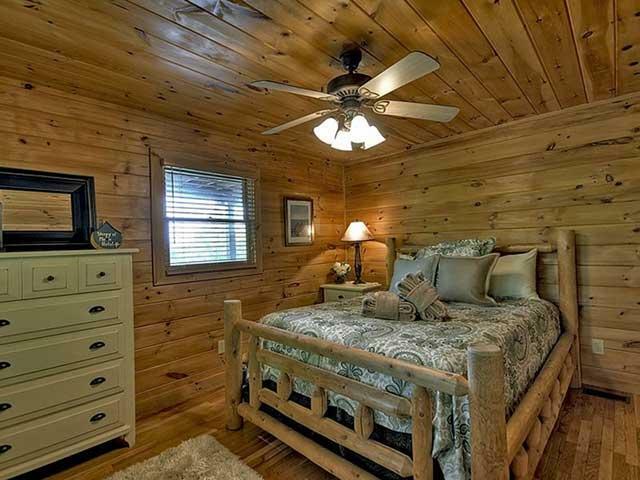 The cabin was beautiful and clean. Everything we needed was right there! 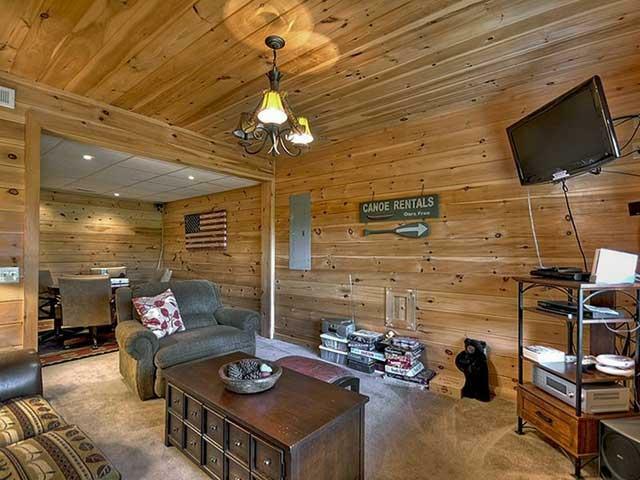 The cabin is impressive and in good condition. The mountain views are spectacular. However, the hot tub pumps DO NOT work due to faulty switches. We briefly got 1 pump to work for a few minutes but could not get it to come back on. 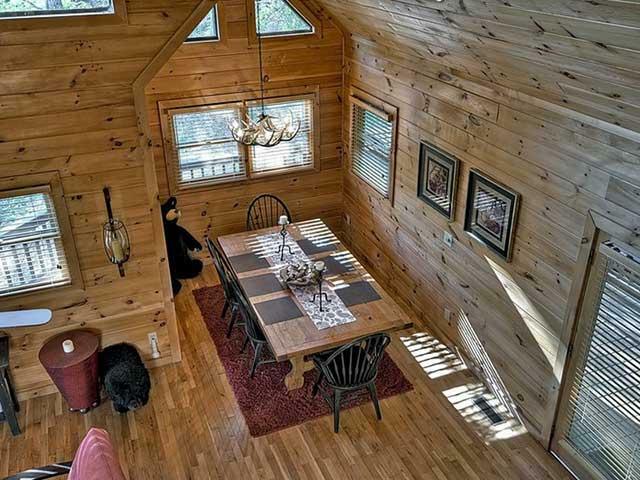 We would NOT lease this cabin again nor recommend it to anyone. The faulty pump switches appear to be a problem that did not occur recently.